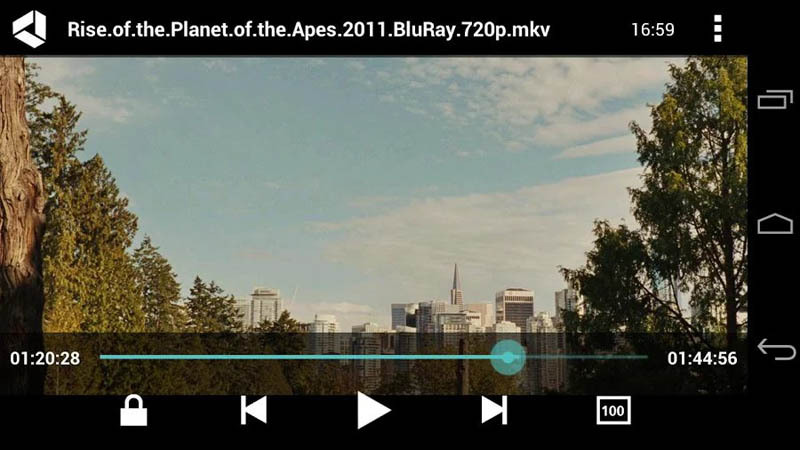 Vplayer video application for Android & iOS is a leading player application for Android smartphones. Its a mobile application with a difference, its setup is simply magnificent and it offers more than what you may think. With its latest version 3.2.6, it comes with a beautiful design that helps one watch high quality videos. What can you do with Vplayer Video player? It’s interesting to know what you can do with this app. First it supports portrait and landscape modes whereby the user can play a 3D video in the landscape mode as it gives a wider screen caption. From options users can also set the quality of video screen orientation, aspect ratio, buffer size and enabling and disabling gestures. The user can also load any subtitle file and even change its look like font, size and color. Vplayer keeps songs playing in the background while the user carries on with other different tasks. It doesn’t drain much battery compared with other players and this feature makes it very good for mobile use. It’s fully compatible with all devices running Android 2.3.0 and above however the video compatibility depends on your devices HW video. It enables the user run almost all types of video files including 3GP, MKV, AVI, MOV, FLV, MVV for most android devices, it’s a highly configurable player which supports multiple formats and HD. It works on both Android smartphones and iPhone. The program has advanced accelerators and codecs which allow it to play high quality videos and sound tracks without hanging and shutting down. You can download the free trial of vplayer video player for 7 days with full features from google play store on your android device or apple store on your iPhone search the app and download it. After that you need to purchase Vplayer unlocker to continue using the application.